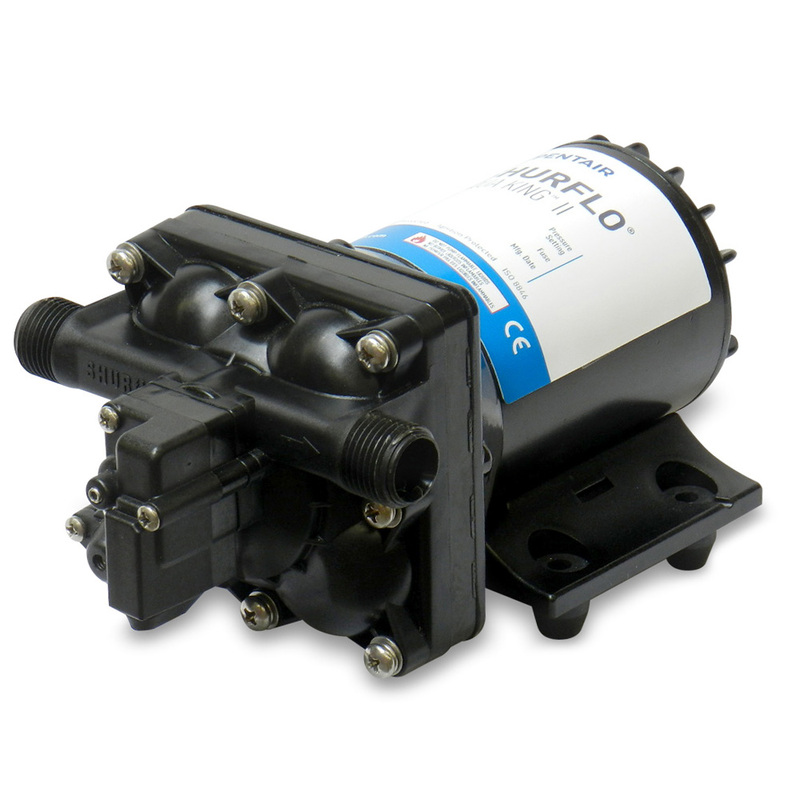 SHURFLO's 4138 fresh water pump design was created with a unique over-molded single-piece diaphragm and internal by-pass, assuring long life and top performance in all plumbing systems. The 4138 pump is constructed for smooth flow and no rapid cycling. The 4138 fresh water automatic demand pump is quiet, thermally protected and can run dry without damage.